Australian Gravity Sports Hall of Fame Award. Nominations are now open for the inaugural Australian Gravity Sports Hall of Fame Award. The Hall of Fame Award has been created to recognise an Australian rider, racer, builder, promoter, organiser, developer, volunteer or gravity community member that has contributed tirelessly to the advancement of gravity sports within Australia. Nominees must be an Australian resident and can be from any gravity discipline including Streetluge, Classic Luge and Gravitybike to name only a few. 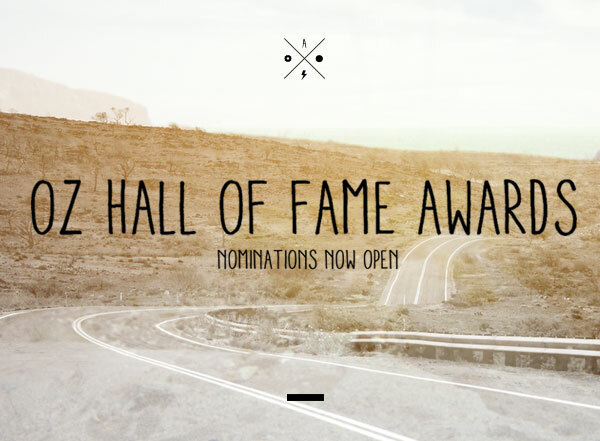 Nominations can be submitted to gravityhalloffame@gmail.com which is being administered by Adam Baldwin from Skatement. All nominees and final inductee will be considered and decided upon by a Hall of Fame committee. Please include the first and last name of your nominee within the subject field of your email and provide your reason for nomination.